Amy Baker helps us understand the ins and outs of the new Velocity Compensation Plan. Listen in to learn how you can make it work for you! Amy began working at Nu Skin in 2000 at the Distribution center walk-in’s department where she would assist Distributors to place orders. Following her time there, she helped open the Nu Skin Product Store. 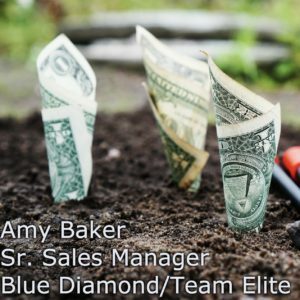 After a few months at the store, in 2004 she became an Account Manager where she would assist Exec to Diamond titled Distributors for the mountain west region and was later promoted to become a Blue Diamond Regional Sales Manager that same year. She currently serves as the Senior Manager over Blue Diamonds and Team Elites. Amy loves to support our Distributors, she builds relationships with them and they are a big part of her life. She loves learning from our leaders and being inspired by them. Our leaders are like family to Amy – they are her Nu Skin family. Amy and her husband have two children who they love spending time with. They love hiking, camping, going to the movies, and playing board games as a family. Amy also enjoys reading and spending time with friends.